After spending some gala time amid wonder-filed natural beauty of Maldives, B-town diva Priyanka Chopra flew back to the USA to join her tough schedule yet another time. After spending some gala time amid wonder-filed natural beauty of Maldives, B-town diva Priyanka Chopra flew back to the USA to join her tough schedule yet another time. The former Miss World went for a much awaited family vacation with mother Madhu Chopra and brother Siddharth Chopra on the occasion of her birthday. Priyanka has even skipped the 18th International Indian Film Academy (IIFA) awards as unfortunately her birthday and the show coincided. However, while flying back to US, the 'Barfi' star was spotted at the airport late night and clicked by the paparazzi in a long summer blue dress. A flower printed cardigan and black heels completed her latest airport look. According to reports the diva headed out to the island to please her mom who was quoted saying, "You should enjoy your success and it’s good to be working, but you need time to savour it." During her entire Maldives vacation the diva kept posting a series of heart-melting photographs and attractive videos drooling people over her exotic vacation look. From beach costumes to her orange maxi dress everytime she has stolen the show. Later, the 'Baywatch' star has also spent some quality times with friends and family as she went for several lunch and dinner dates after returning back to Mumbai. 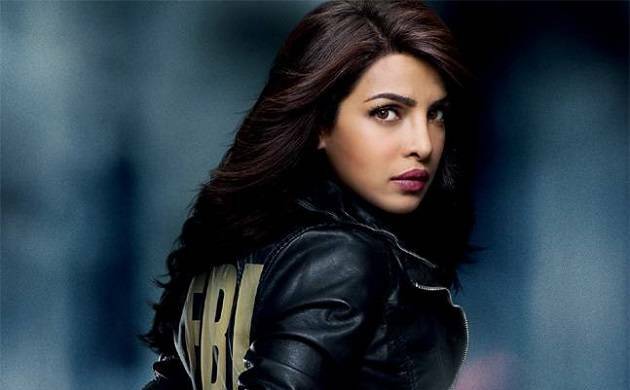 On the workfront, the 'Anjaana Anjaani' actress is currently busy shooting her upcoming Hollywood projects 'A Kid Like Jake' and 'Isn’t It Romantic' along with her famous American television series 'Quantico'. Priyanka who will also be seen in Shah Rukh Khan-starrer 'Gustakhiyan', is also gearing up to attend the upcoming Toronto Film Festival after giving a miss to IIFA 2017.